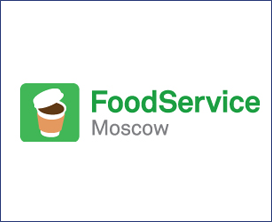 FoodService Moscow exhibition is a promising business platform for establishing and strengthening contacts between food, drink and equipment vendors. The event attracts purchasing executives for restaurant chains, food courts at shopping malls, hotels/inns, cafeterias, catering companies and the owners of coffee shops and bars. Field experts have the opportunity to make businesses contacts and partnerships in order to acquire innovative equipment and technology for opening and developing fast food businesses and fast food chains. With the rapid development of the foodservice market there is a need to gain a competitive advantage through high-quality and properly sized equipment. The choice of the type of equipment for caterers primarily determined by the type of your café or by range of food you serve, as well as the economic efficiency of the use of certain types of equipment for each particular institution. Supply catering includes includes both the supply of semi-finished products for fast food, and the supply of fresh food (such as vegetables, fruits, meat, poultry, fish and seafood, and more). Of course, food for the fast-food industry plays an important role as food can become one of the main competitive advantages. Suppliers of products in cafes need to ensure the quality of products, to provide a wide range and flexible terms of cooperation. Modern resource management system allows the restaurant to receive a significant competitive advantage by reducing costs and increasing profits. In the restaurant it is important to carefully approach the issue of automation systems. Well-chosen automation system solves many tasks: help to control and optimize the activities of the company, to prevent theft by staff, to support marketing activities, to create loyalty systems, and analyze activities and plan further development. Packaging and consumables are an important factor, not only the image, but also a criterion of success of the restaurant, café or bakery. In the market of foodservice packaging not only helps keep the product, but also helps to attract the consumer's attention. The design of the finished package, an unusual form or material are becoming more popular. Often, the packaging can become a competitive advantage by solving such important tasks as the ease of use, speed of consumption of the product, the preservation of its properties, as well as environmental waste. Franchise restaurants became popular worldwide among entrepreneurs, and for obvious reasons. One of them - the entrepreneur gets ready and built a business that allows to create an exact copy of the already successful institutions. This is especially true for investors who do not have experience in foodservice industry. Existing brand image allows to attract loyal visitors, which affects the payback period of the project. Also, buying a franchise, the entrepreneur receives the maximum number of services and solutions. The franchiser helps the client in the construction of business - starting with site selection and to staff training. The largest foodservice chains offer entrepreneurs to buy their franchise, and start their own business at the exhibition IFFF Moscow. In the exhibition a special franchising area will be organized for the convenience of potential franchisees, where the company will present a brand-franchisors and talk about the conditions of acquisition of the franchise. A business program will help to understand the issues of purchasing a franchise and management institution.